Our team is dedicated to caring for you and your entire family. We serve the Grass Valley, Auburn, Nevada City, Penn Valley, Colfax Areas and beyond! 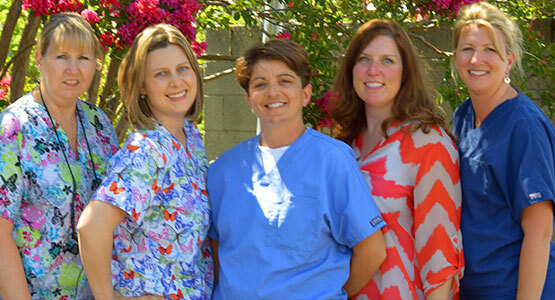 Our number one goal is to make your dental treatment a comfortable and enjoyable experience. Our patients tell us all the time how thorough and gentle our hygienists are. When you visit us at Dr. Accettura’s office feel free to let us know if there is something you may need to make your visit more comfortable. Our team is committed to helping you and your entire family achieve all of their dental needs in a friendly, comfortable environment. We take great pride in taking good care of our patients and understand that going to the dentist can be a stressful experience for many people. We believe that understanding your individual situation will provide a peace of mind enabling each patient to select the best treatment options for themselves and their family. 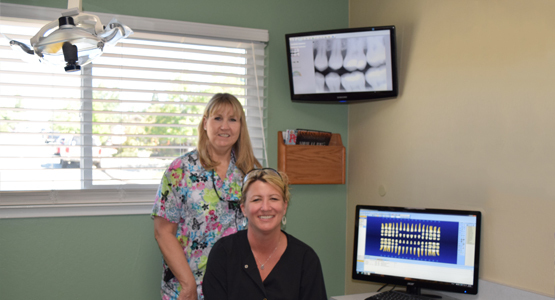 Our hygienists, Jeanie Johnson, RDH and Katrina Gutierrez, RDH believe that healthy teeth and gums are the cornerstone for achieving a healthy smile and a healthy body. They utilize both intraoral photography to show you what they can see as well as safe digital radiography to show you what you cannot see. Using both tactile hand instrumentation and ultrasonic technologies, they can clean your teeth, protect your gums and provide each patient with the foundation required for maintaining their oral health for a lifetime. Antonia Accettura, DDS strives for clinical excellence and will do everything she can to inform each patient of his or her individual situation. Using intraoral photography, Dr. Accettura enjoys showing and explaining to patients what she can see so that they can understand what may need to be addressed. 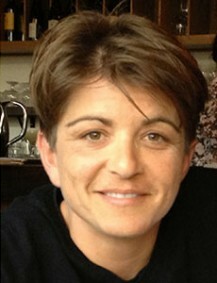 Dr. Accettura was born and raised in Fair Oaks, California. She obtained her bachelors degree in Health Science at Saint Mary’s College of California in 1999. She obtained her Doctor of Dental Surgery degree from New York University College of Dentistry in 2004. As an Active Duty Commissioned Corps Public Health Service dentist, Dr. Accettura started her career working for the Department of Heath and Human services. After several years working for the Public Health Service and in private practice, Dr. Accettura chose to settle into the neighborhood of Grass Valley where she can treat patients in a kind, comfortable, friendly environment with state of the art technologies.